If you need this program as a gift voucher for another person, we will need full payment in advance! The gift voucher will be transmitted by email as soon as we have received your payment. Get 50€ Anniversary Discount if registering for the "Open Water Diver - Touch"! Available only from 2nd of January 2019 until 20th of December 2019 and only if booked at least 14 days in advance. Get 10% Anniversary Discount if registering more than 1 participant for the "Discover Scuba Diving"! I do not enrole any additional participants! As present you may not enrole any additional participants except yourself of course! Please fill out this form seperately for each gift voucher for several persons. We need an email for each participant for the registration of digital products with PADI. This service will be conducted by a third party. We will transmit your name and flight data to this company. Payment is due in cash (EUR) to the driver at the airport. NO CREDIT CARD ACCEPTED! Maximum number of persons to be transported for this price is 3! Pickup service from your hotel or apartment is available only within the citylimits of Puerto de la Cruz! 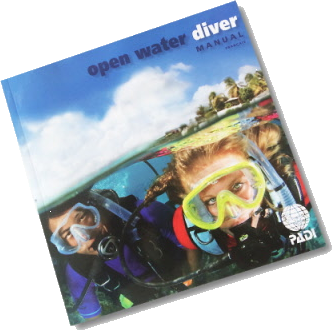 Our price is 15€ per person as unique fee for your complete course and all additional diving days after your course. FOR PARTICIPANTS OF THE "DISCOVER SCUBA DIVING" WE CHARGE 7,50€ ONLY! In case of several participants enroled together we charge this tranfer fee only once for all. You MUST be at the pickup point ON TIME! The bus will not wait if you are late as we have to pick up other divers too. If you miss the bus you will have to take a taxi and there will be NO REFUND on the transfer fee!